In March of 2005 I had my right kidney removed because it was filled with scar tissue and ceased from doing it’s job. I was told to drink at least 96 ounces of water a day for the rest of my life. 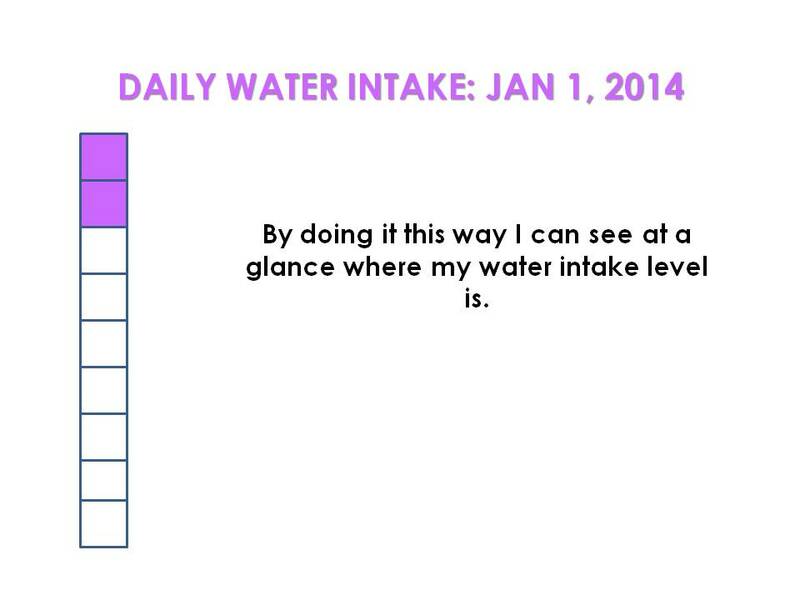 Tracking my water intake is a very serious issue for me. Since that time, I fluctuate between very little water to over 100 ounces a day of liquid. I think in the winter I drink less straight water and more hot herbal teas because drinking water makes me colder. I start everyday out with a 20 ounce cup of hot lemon water. When I do drink my water it is from a 32 ounce water bottle and I try to have one in the morning and one with lunch. At night I will drink about 20 ounces of herbal tea with a dab of honey. Throughout these last nine years I’ve had many different ways of keeping track of my water intake. I’ve used hash tags and check marks on paper or excel spreadsheet. Both of which did not help. The one thing that did help was to use a calendar. Since I work out home, and don’t have a cell phone (I know I’m the only person on earth that doesn’t have a cell phone), I use my calendar and put on little squares. Each square represented 12 ounces. After I drink 12 ounces worth of water and herbal teas or my lemon water, I shade in a square. As I go through my day I finish coloring in the squares. As you can see there are nine in the photo above. That would make for 108 ounces of liquid a day. Something to be aware of is that when I drink coffee I will drink more water. 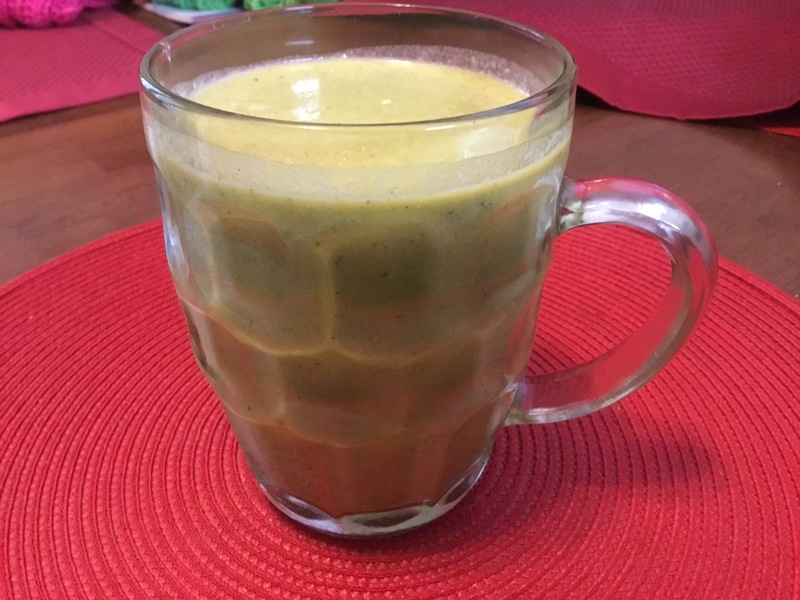 I try to match ounce-for-ounce water and coffee, because for each cup of coffee you drink the caffeine eats away a cup of fluid from your body. So if I drink an 16-ounce cup of coffee I will drink an extra 16-ounce cup of water. This also includes black tea. Tracking my water intake this way works for me, but I’m sure there are other ways of doing it that are probably easier for you. Please leave me a comment and let me know what your favorites are. 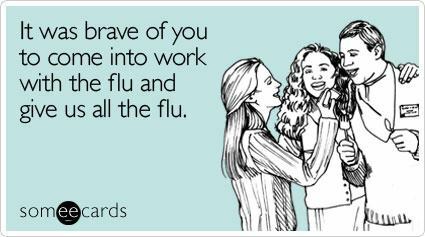 Yes the flu is the worst it has ever been but that is because no one follows quarantine laws anymore. If you are sick you stay away from other people until your sickness is gone. It’s simple really. When I get sick, I take all the natural remedies I can. Then I remember that I love my fellow man, like I love myself, and I stay away from them until I feel better. Take the time to be proactive in your own health instead of reactive when you get sick! Let’s face it, we would all love to have washboard abs. But some of us are just starting out get discouraged looking at photos of men and women who have never had our type of health issues, or have had children. From my own experience I can tell you that you can get rid of Belly Fat once and for all, in 4 easy steps! Yeast, baking powder, and baking soda makes bread rise, it will do the same thing to your belly. Sugar: is a stimulant that causes our hormones to be unbalanced which makes fat storage easier. So every time you eat something that is sugar (this includes HFCS, and artificial sweeteners even powdered stevia) sweetened you are helping your fat storage system. So if you are in the menopausal state of life, or under stress, eating sugar will help you store more fat, especially in your belly! Grains: Wheat is the worst because it has been genetically modified for over 40 years to have more gluten (protein) in it. This genetic manipulation has led to many people becoming gluten intolerant. 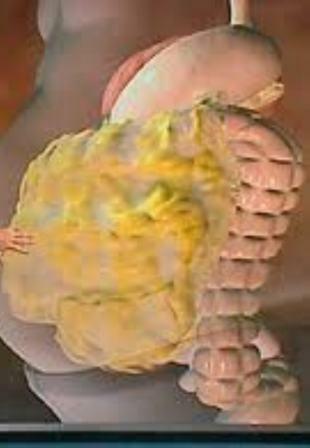 Gluten bloats and causes the body to hold onto that fat. Try going off all grains: wheat, flours, oats, rice, and cornmeal: and anything made with them for 1 month and see what transforms in your body. In order to flush the fat from our bodies we NEED WATER! If you’re not drinking half of your body weight in ounces of water daily, you will not lose weight. Water mobilizes fat. Plain and simple! Sitting and dreaming of belly fat running away from your body will not make it so. Our bodies need to be in motion to get rid of the fat. The more muscle we have the more fat we burn. Find some form of exercise you like to do and keep doing it. I love lifting weights and doing insanity work outs. I work on my Abdominal muscles 6 days a week. The great benefit from doing this is that my back stopped hurting and I dropped 2 sizes in 6 weeks.